Last week I made a quick necklace for a friend to cheer her up. I Forgot to get photos myself, so excuse my friend’s pictures due to lighting being poor. 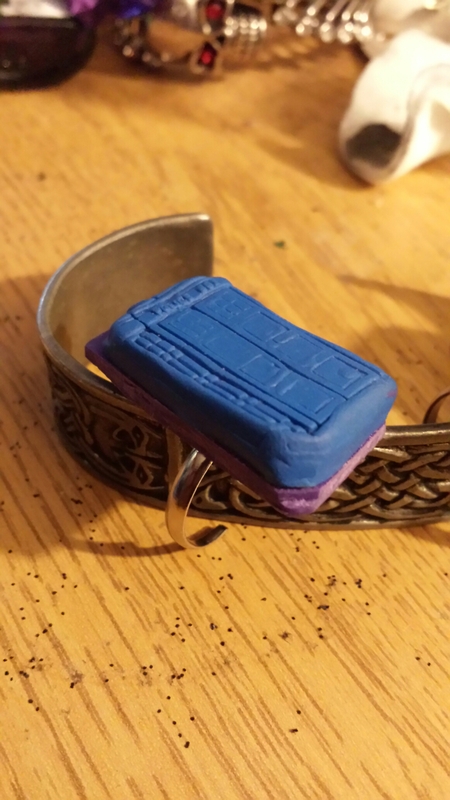 Today I made time to finish off a couple of items and make a friend a pendant, which has special meaning to her. 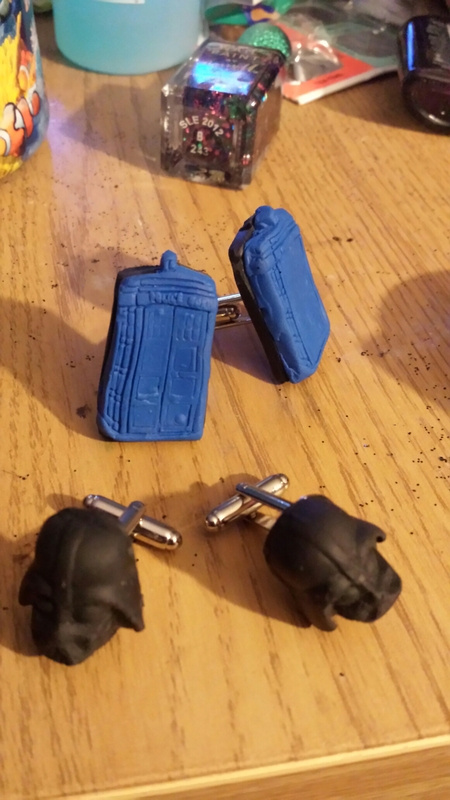 Firstly I finished off some cufflinks for Richard (pair of Darth Vader, pair of TARDIS). Mostly just varnishing. 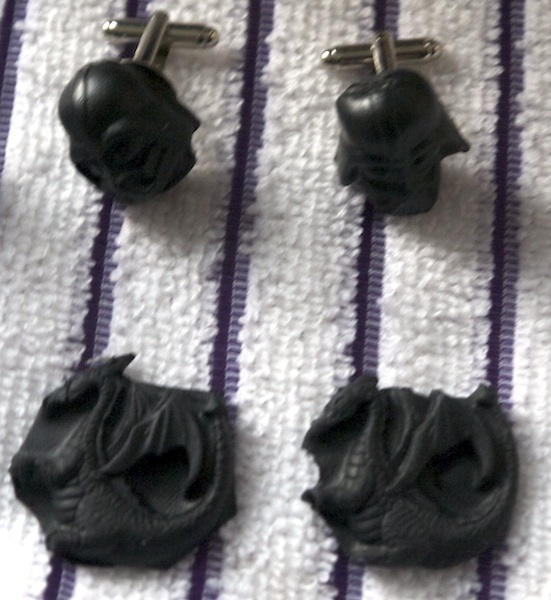 I also used left over black clay for a pair of black dragons, which will get a red background and become cufflinks for Richard. 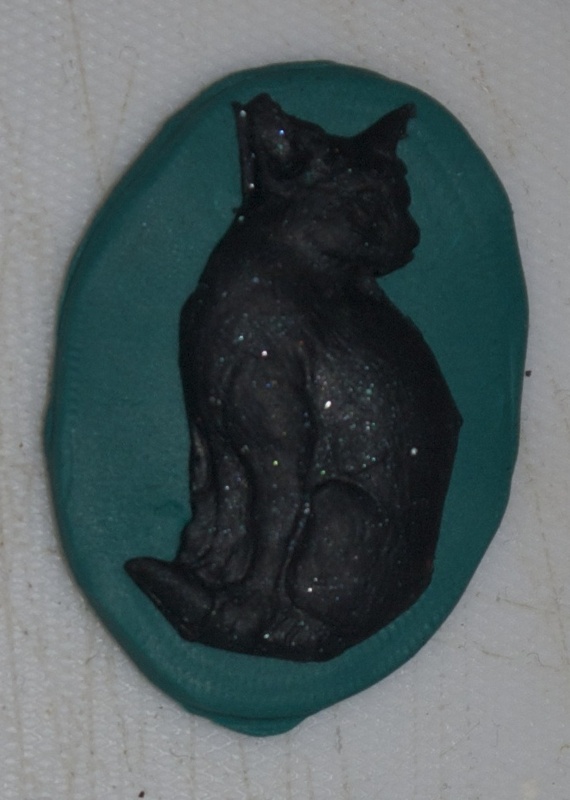 Made a cat pendant (blue background, black cat) for Nat as well. 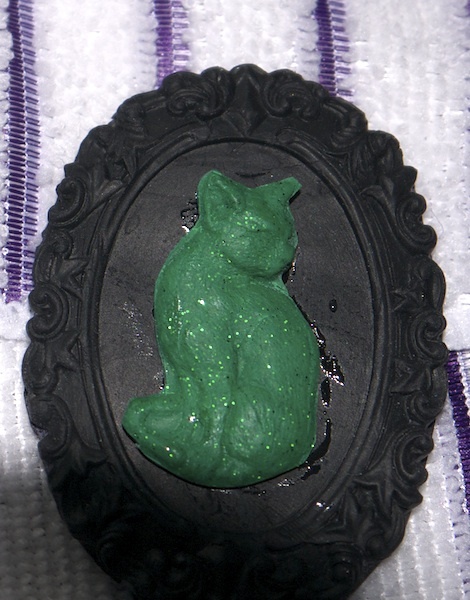 Also made myself a couple (purple background, black cat & black background, green cat), the green cat broke sadly so will have to redo that (the epoxy didn’t stick it properly and it was too curved). 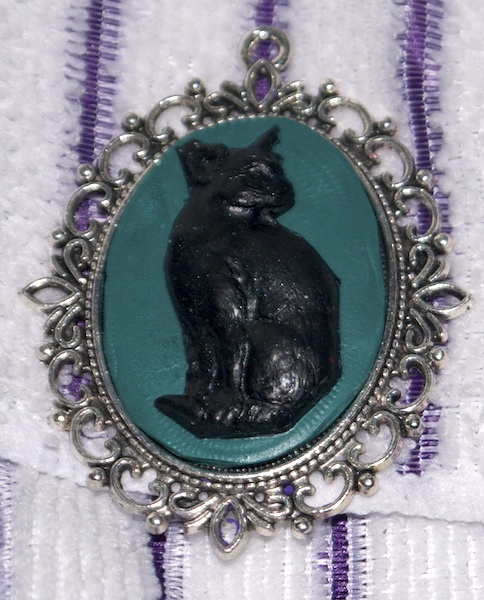 Black Cat, green background on silver frame. Finished off a couple of Y Ddraig Goch brooches, one for Nat and one for my Mum. Unsure which worked best, think I might add some more black to the right hand one to define it better. The pendants need bails adding, but otherwise are complete 🙂 not bad seeing as the cats started out not being too good (original baked backgrounds were not quite right shape wise or a little warped). 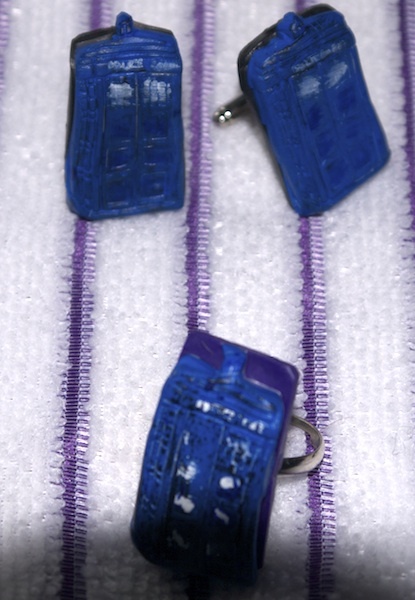 TARDIS Cufflinks. Prior to being finished off and cufflink blank adding. 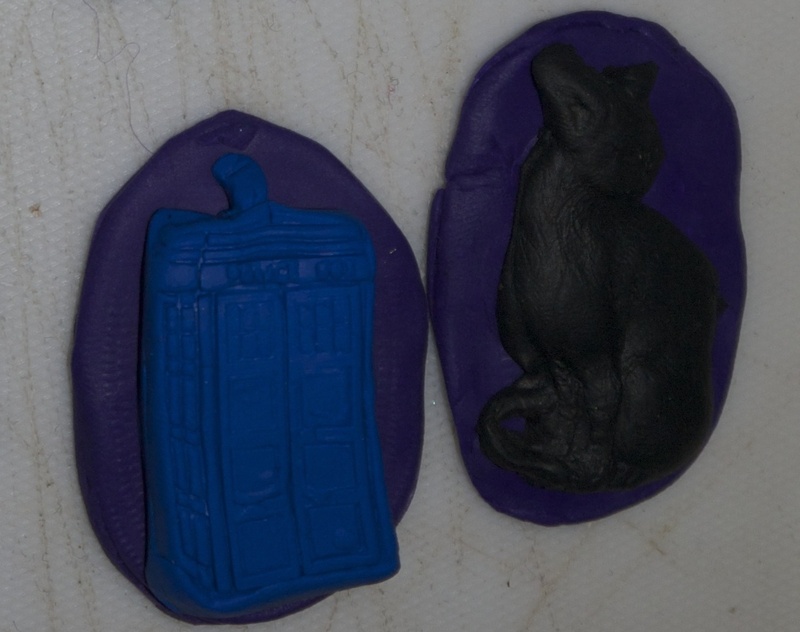 TARDIS pendant and black cat on purple pendant. Both need some finishing work doing. Today I managed to get the dinner table set up against the window in the living room and sit down and try again with the polymer clay. 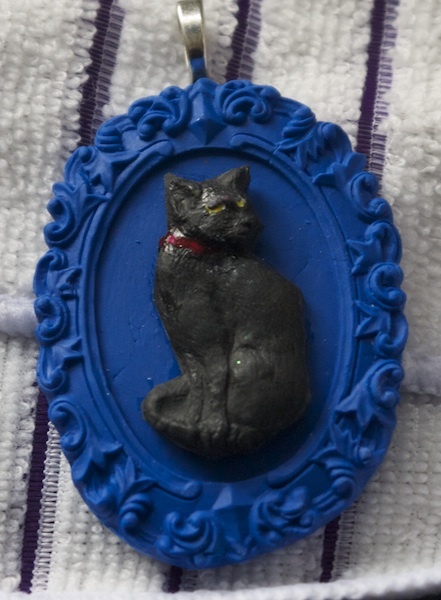 Black cat on green background. As can be seen one went a little wonky, but think with a bit of sanding it should be ok. 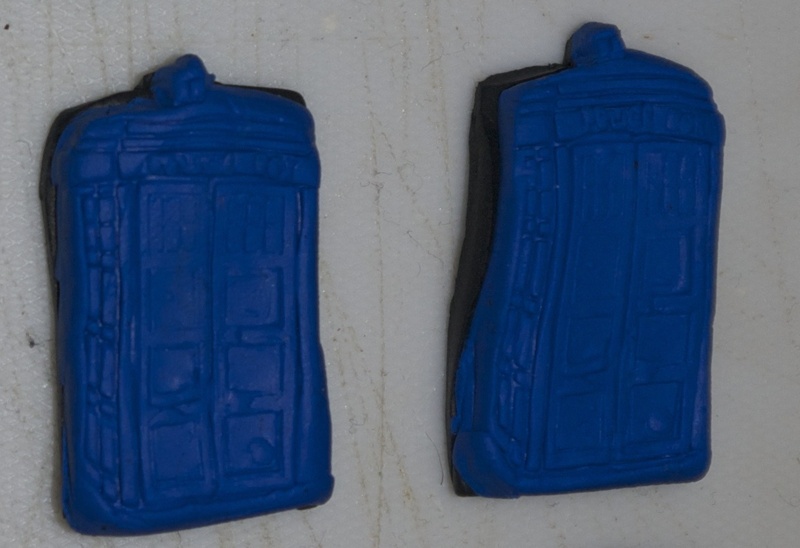 I also created a TARDIS pendant. 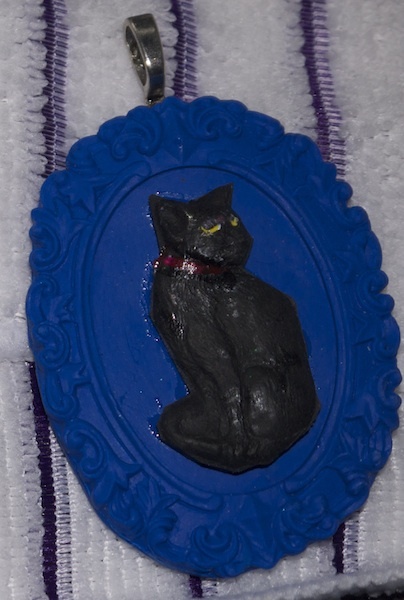 With left over black and puple clay from the TARDIS pendant and cufflinks I created a black cat on purple background pendant as seen above. 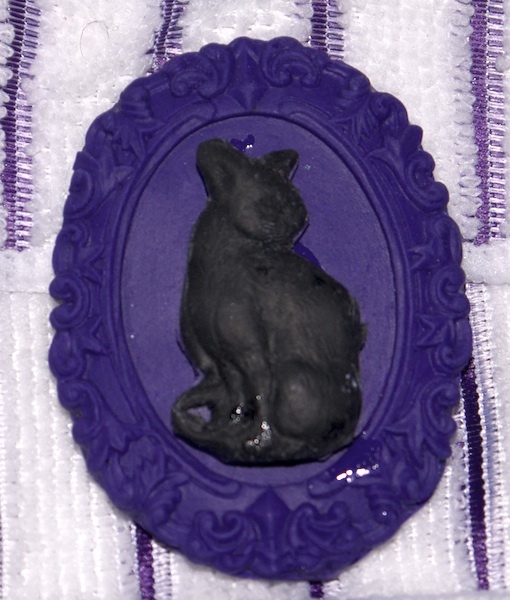 Managed to make the purple background a touch too thin so it split a bit. But I think with a little work should be ok. 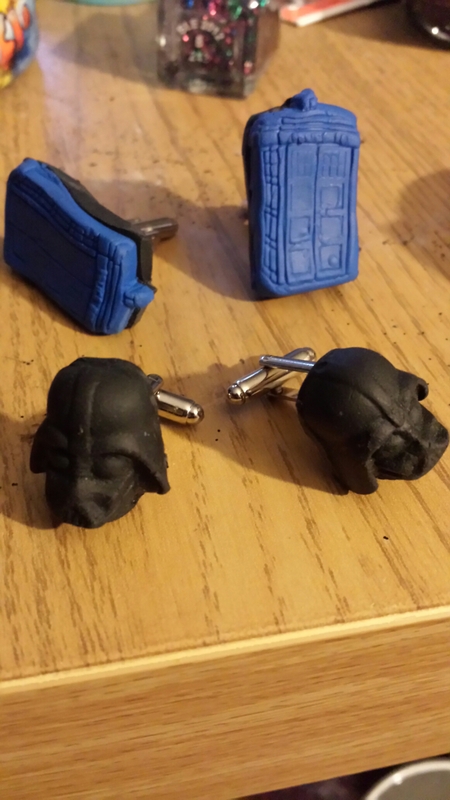 I still had some left over black clay at this point so made the Darth Vader heads below. They’ll form a pair of cufflinks and maybe a pendant, haven’t decided yet. The mould is much deeper than others I was using so getting the clay out is a pain at times! Darth Vader heads. Need some cleaning up. I think a bit of a wash of some kind of inks to bring the colours out will help add more definition to the dragons. 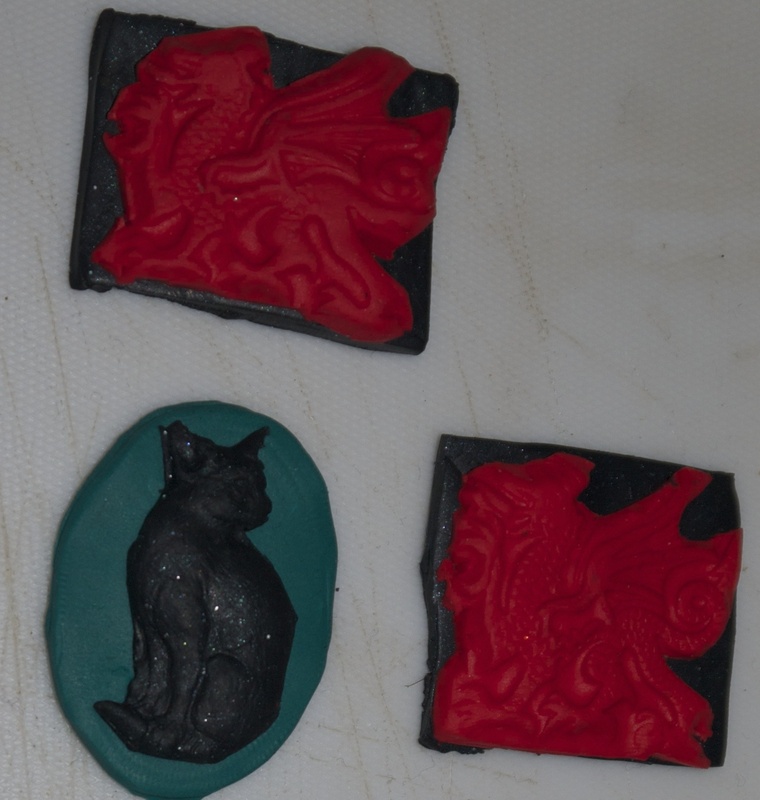 But think they should work ok as brooches. Happy I got around to trying to make some more items with clay. I have lots of moulds, but might at some point try some freelance sculpting and other techniques with it. 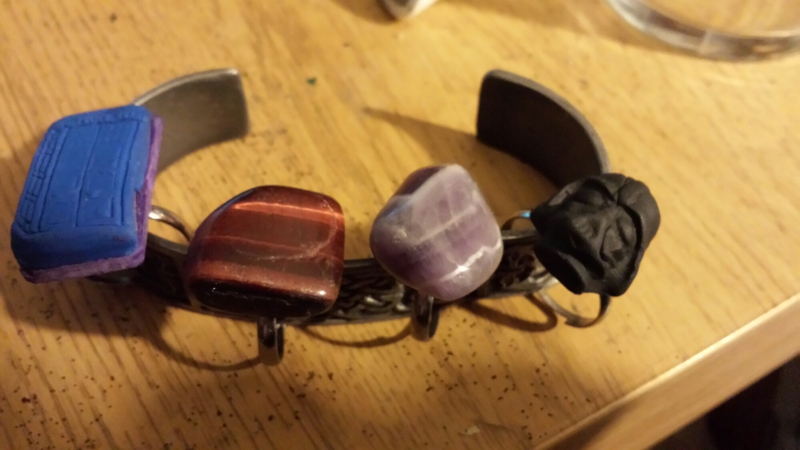 Have been meaning to do more jewellery for a while, but never quite seem to find the motivation to do it.